Back Walkover Clinic 6:45-7:15 pm. This clinic is great for children who not only want to achieve the back walkover, but also for those that are working toward a back bend or the kick over. This is an enjoyable half hour of skills and drills progressing toward the back walkover. They will receive some one on one attention as well as independently working the circuit of related skills. The back walkover clinic is offered to children ages 5 and up who already know how to do a bridge, and are working the back bend and/or bridge kick over in class. Tuesday 5:45-6:15 pm & Friday 6:45-7:15 pm Every week except holidays (Sept.- 2nd week of June). Wednesday 6:30-7:00 pm Every week except holidays (Sept.- 2nd week of June). This clinic is designed for gymnasts and tumblers ages 5.5-12 yrs. It is a wonderful opportunity for children to focus on their cartwheels with one on one attention, as well as independently working on many beneficial stations and drills. In this clinic there will also be an emphasis on the handstand, since these two skills go hand in hand. 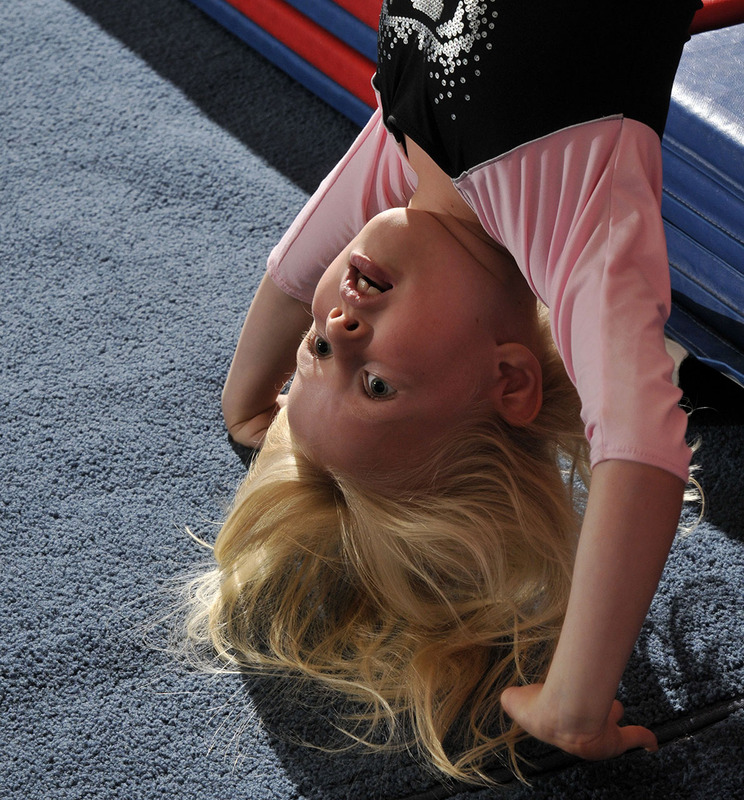 If your child has a desire to learn or perfect the cartwheel, then this fun clinic is for you. Friday 5:30-6:00 pm Every week except holidays (Sept.- 2nd week of June).